8 free currency rate. Where is it on the world map? 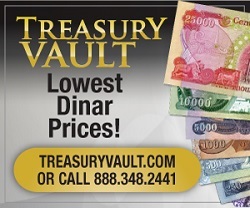 Bond Ladys Corner » NEWS FROM IRAQ » Iraq Dinar & CBI News » 8 free currency rate. Where is it on the world map? 8. previous global experiences in the liberalization of currency rate or apply flexible exchange system, only two managed to exceed their crises shortly after the tendency to edit its currency against the dollar. Maybe deregulation experience success depends on the competitiveness of the country in terms of production and export of the country, while the fragile economies of the difficulty of the transition to flexible exchange phase, especially for the poor class. Despite the difficult experience in six countries applied the liberalization of its currency against the dollar, but China and India have benefited substantially from a flexible exchange system, thanks to rising exports and lower prices boosted demand for its products, both externally and locally, and attracted foreign investment, as a result of a decline in Indian and Chinese currency. But surely the experience of Brazil was tough, so I decided to take this step in 1999 under economic conditions more difficult. And devalued Brazilian real at the time substantially, leading to higher imported goods and increased inflation, and by extension reflected negatively on the laboring classes, middle, before the Brazilian currency warmer in 2004, with the economic reforms initiated by former Brazilian President, Lula da Silva of Brazil capabilities enhanced competitiveeness. The second experience was in Argentina that freed local exchange market to implement the President-elect's promise 2015 Mauricio McRae. It was expected the Argentine peso depreciation of less formal level is 9.83 pesos per dollar to nearly black market price of between 13.5 and 15 pesos per dollar but deregulation plan succeeded. In Morocco, the decision to edit the currency exchange rate, was not fortuitous, but Morocco's Central Bank Governor began, Abdullatif Al-jawahiri, alluding to this trend since the end of 2015, when he stated that Morocco intends to trend toward flexible exchange system, it is a careful process. Indeed, the project took a lot of preparation, several meetings between Moroccan side snags and International Monetary Fund experts to talk about how to move from a basket of currencies to flexible Exchange System. Sudan has begun to edit the exchange market by the Central Bank to take several decisions, began to stop providing subsidized dollars to import medicines, she rejoined the policy incentive to attract foreign exchange from Sudanese expatriates. It also decided to stop providing dollar for companies importing drugs for the price of 7.5 pounds, which means that these companies will resort to the parallel market for the dollar, which now stands at 15.9 pounds. The fifth test was in Malaysia, the Malaysian Central Bank province announced in July 2015, the Government decided to abandon the policy of linking its currency to the US dollar and ringgit replaced the doomed currency liberalization policy. She does not expect the ringgit exchange rate differs significantly from its current level. And the price was installed at 3.8 Ringgit to the dollar since September 1998 when it decides to help Malaysia deal with the Asian financial crisis. In Nigeria, which moved to flexible exchange system, it was decided in June to start reducing local currency when market pressures and policy makers tempered completed its link Nigeria ' alnaira ' to the dollar in 16 months, making the exchange rate on the black market at least 50% from official price until it was deregulation and the currency dropped by about 30% in that time, and since then it has decreased only about 10% just yet. If Nigeria has had some success of delinking its currency the dollar however, foreign investors have responded slowly, still the Nigerian currency being sold on the black market at a price about 20% less than the official price. Did you succeed in Egypt? In Egypt, which last Thursday decided to edit the pound against the dollar, it was the first float of local currency under President Anwar Sadat allowed import cards to the private sector, and an era of borrowing from the West, which then turned into what are called Paris Club debt. But Sadat's inability to edit general budget 1977 non continuous flow of Gulf investments and general economic weakness in 1980s dollar crisis occurred again and the dollar moved officially from 1.25 pounds to about 2.5 pounds, what led to the bankruptcy of many companies, where the Egyptian private sector banks to borrow from the dollar and pound works. When President Hosni Mubarak took power in 1981, the dollar was 80 cents, the dollar continued its rise after the float of the pound in 1989, the dollar became 3.30 pounds, and float the pound again in 2003 to up its price against the dollar to £ 5.50.